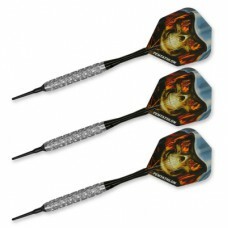 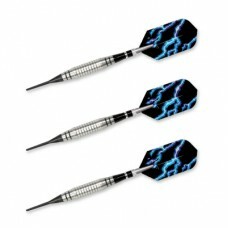 16 grams - 80 % Tungsten SoftBanshee darts are an affordable mid-priced dart made of 80% Tungsten. 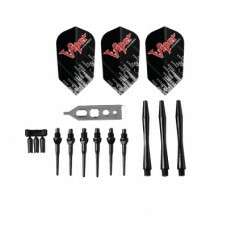 T..
18 grams - 80% TungstenThe front loaded weight distribution of the compact Cyclone darts makes them ..
16 grams - 80% TungstenShark Fin dart is crafted in England, and has special - Back Cut Grooves - th..
90% Tungsten is as slim as it gets in a dart. 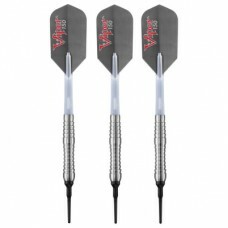 Grooves, knurling and high tech design give this slim ..
80% tungsten with black painted grooves and track grips. 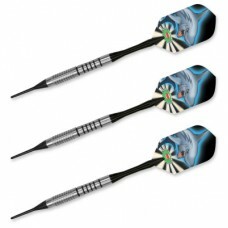 The size of the flight is proportionate to ..